Robert Croft will end an uninterrupted 23-year playing career with Glamorgan next week when he makes his final appearance for the Welsh county. 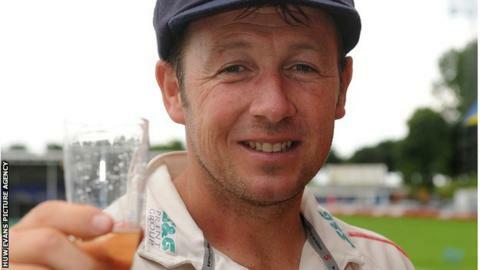 The 42-year-old had hoped to continue for another season, but Glamorgan are expected to announce Croft will take up a coaching and marketing role. Glamorgan chief executive Alan Hamer met the off-spinner on Wednesday to finalise his future with the county. Croft has been used sparingly this season, playing in only 12 games. Six of those came in the Friends Life Twenty20 competition, where he was Glamorgan's joint-second top wicket taker with four wickets in a disappointing campaign. He has taken 14 wickets in the 2012 County Championship, taking his first-class total for Glamorgan to 1168 since making his debut in 1989. Croft will hope to add to that tally in his swan-song game, the Division Two fixture against Kent at the Swalec Stadium in Cardiff, which begins on 11 September. An accomplished lower-order batsman with a highest first-class score of 143, Swansea-born Croft has already passed 10,000 runs for the county, making him the only Glamorgan player to achieve the double of 1,000 first-class wickets and 10,000 first-class runs. In 1997, he played an instrumental role in Glamorgan's first County Championship title win since 1969, and won three Sunday League titles, the last as captain in 2004. Glamorgan have failed to win any silverware since. The county awarded Croft a testimonial year in 2011 in recognition of his services to the club.